Today many people confuse and even equate these two terms – a cash advance and a payday loan. A cash advance is usually considered as the amount of cash obtained against a credit limit. A payday loan is a small sum of money, which a person borrows for a short time. There are some features that distinguish these two forms of borrowing money. First of all it’s a list of documents and forms which a loaner should present and fill out. If you receive a payday loan, the creditor requires only identification documents. In the case of obtaining a credit card cash advance, the debtor must submit, in addition to the passport, personal information (for example, an income statement), and also have a previously opened credit card. By the way, the credited party spends more time on registration the credit card cash advance than a payday loan. The next peculiarity is the terms and the amount of payment for using the money. A person obtains a payday loan for a period of 10 or 14 days. After this period of time the obligor must return money. The interest at the rate of about 15 percent is paid for a payday loan. If a debtor has overdue the time limit payment, he should pay the next 15 percent of the sum until he repays the debt. The fee for using the credit card cash advance is usually charged as a percentage of the received money (this rate varies from 2% to 4%). Sometimes the fee for a cash advance is fixed, which is called flat fee. But very often a debtor pays both the cash advance interests and the flat fee. It depends on the credit card issuer. However, there is no grace period for a credit card cash advance, unlike a traditional loan. 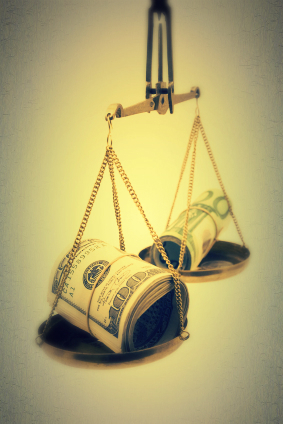 A borrower pays interests every month on the balance. Sometimes some finance companies can charge extra fees apart from cash advance interests. Try to pay the cash advance in time or even before the billing notice comes to reduce the amount of fee. If you obtain the cash advance through the ATM, the financial company which owns this ATM can also charge some fee. The main disadvantage of a credit card cash advance is that: if you have withdrawn the whole amount of cash advance at once (not during the whole year), you should still pay fee from month to month. In such situation you pay off the debts with the charge of 20 to 25 percent interest per year. So if you are not sure in your ability to pay in time during long-term period, it’s better to obtain a payday loan for couple of times, although it will cost you a bit more expensive than to withdraw a cash advance. That’s why the choice of extra money depends on your solvency and also situation. In Canada, the “cash advance” and “payday loan” terms often mean the same thing.